With ten taps to fill at their newly expanded brewery bar, there’s plenty of scope for the 3 Ravens brewers to play around. 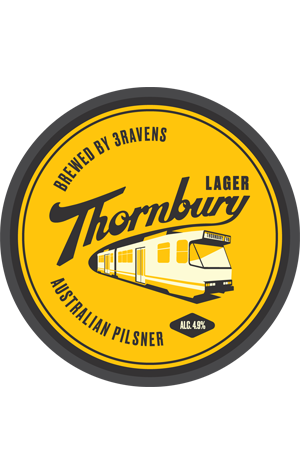 And one beer that’s become a permanent resident on those taps since the bar was reopened – and is proving popular enough elsewhere to have swiftly graduated to the ranks of year round brew – is the Thornbury Lager. A heads up too: look out for it appearing in cans in the not-too-distant future.